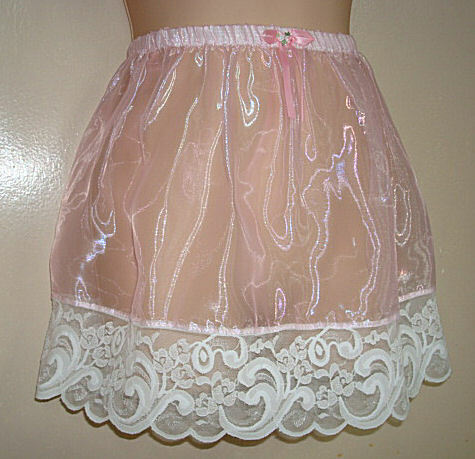 Here is a very pretty slip-skirt. Made from very soft silky mirror organza and you’ll just love how this fabric feels against your skin. It has very light ivory lace all around the hem with soft wide elastic at the waist for comfort and support. Finally, a pretty satin teal bow to bring it all together; simply sweet.